The 595 members of the newest purple class come from 44 states plus the District of Columbia, and from 29 different nations of citizenship. Twelve percent of these students are the first in their families to attend college. Forty-three percent of the students are African American, Latina, or Asian, with eight percent identifying themselves as biracial or multiracial. Eleven percent of the class has international citizenship. And that is just a sampling. 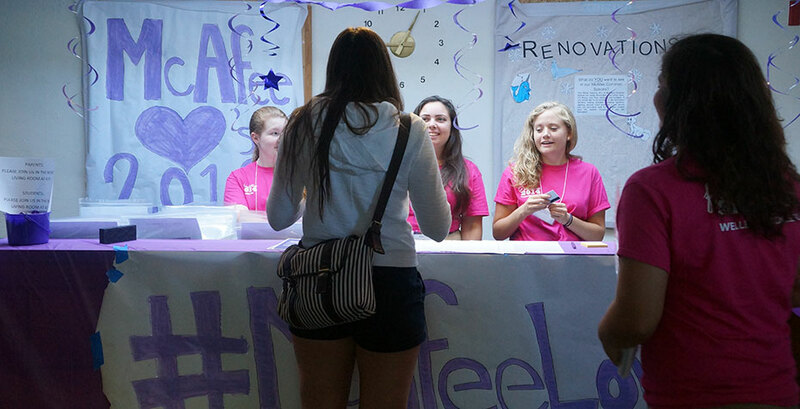 These impressive women begin a week of getting to know each other and Wellesley on August 25, after a morning of moving into their residence halls. They'll dive into new challenges next week as the academic year officially begins.